Situated on the Normandy coast, in the Seine-Maritime department of Normandy and 20 kilometres north of Le Havre, Etretat is renowned for the coastal scenery around the town, in particular its white cliffs that are familiar from many photos of the region. 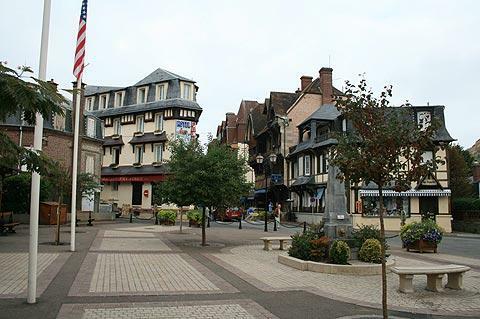 Both the cliffs and the town itself are highlights of the region and not to be missed if you visiting this part of Normandy. After exploring the cliffs be sure to visit the town itself. 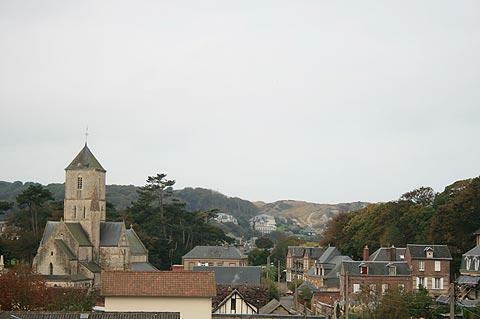 Historically a fishing village, Etretat became a popular seaside resort during the 19th century. This popularity was enhanced by the large number of famous artists and authors who were inspired by Etretat: Monet, Maupassant, Victor Hugo and Flaubert were all enthusiasts of the region around the town, and Monet painted several well known pictures of the coast and cliffs around Etretat. It is an attractive small town - start with a stroll along the promenade next to the pebble beach in the center of the town where you have a different perspective on the cliffs to either side. 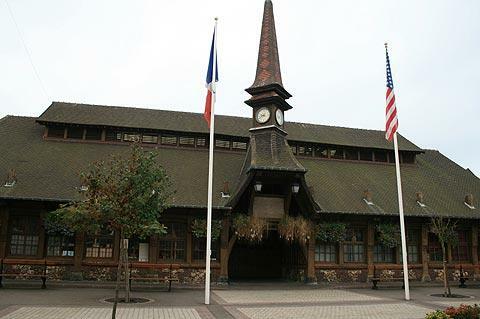 Next you should take a look in the old market hall on the Place Foch. The market hall has a reproduction medieval wooden structure, although it is more devoted to tourist shops than fruit and vegetables now. 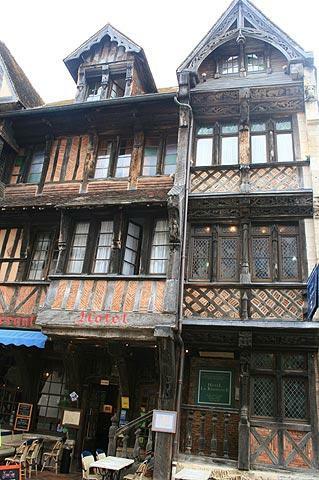 The square around the market also has some attractive and interesting medieval half-timbered buildings, some of them featuring elaborate wood carvings. 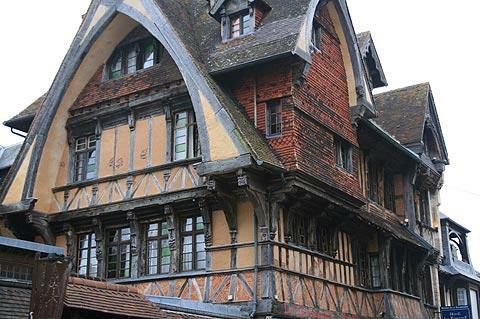 Elsewhere in Etretat you can see medieval houses, fishing cottages and several grand houses that were built in the 'belle epoque' (beginning of the 20th century) at the time the town first became established as a popular seaside resort. Etretat also has a large selection of souvenir shops and restaurants specialising in fish, oysters, moules frites, and crepes to enjoy - a refect place for a pause after you have walked along the promenade. As well as the pleasures of the beach and the views along the coast there are numerous sporting activities available at Etretat. Walking, cycling, horse riding, windsurfing and diving are among the most popular, along with golf, tennis and swimming. 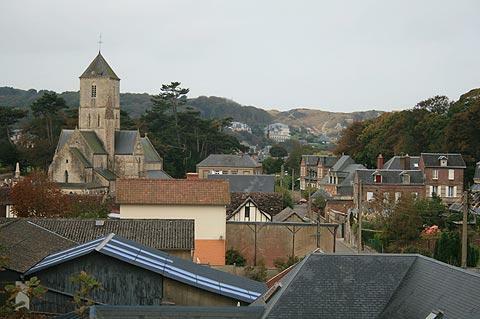 A few kilometres north-east of Etretat you will also want to visit Fécamp, in particular to see the abbey church and the Benedictine palace.